A More In-Depth Biochemical Analysis of Foods. Expose upper level students to an expansive survey of fascinating biochemistry experiments. 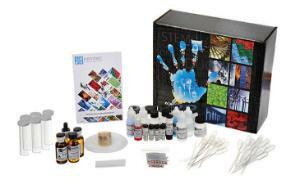 The kit introduces students to scientific techniques while examining ten different topics at a more in-depth level than Biochemistry I (363000). 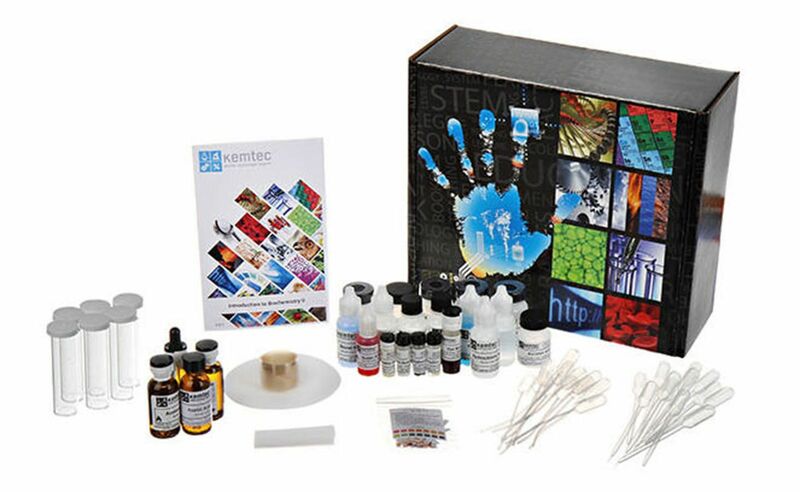 Includes: Determining the pH of Foods, Saliva, and Soil; Starch Determination; Sugar Determination; Fat Determination; Protein Determination; Amino Acid Determination; Pepsin to Digestion of Protein; Ninhydrin Amino Acid Detection; Effects of Varying Conditions on Salivary Amylase Activity; Modeling How Digestion Works; Determination of Ascorbic Acid Concentration; and Paper Chromatography of Various Dyes and Plant Pigments Using Different Solvents. Designed for 24 students working in six groups of four. Required but Not Included: A hot plate or water bath, 50 mL beakers, forceps, storage jars with caps, funnels, and food samples for testing.